World Cocktail Week, Day 2: The Martini Served up, dirty, or Gibson-style, the martini's not for sissies. Just ask 007. The martini. A sophisticated choice. It's World Cocktail Week! Setting aside the obvious retort ("Isn't every week world cocktail week? 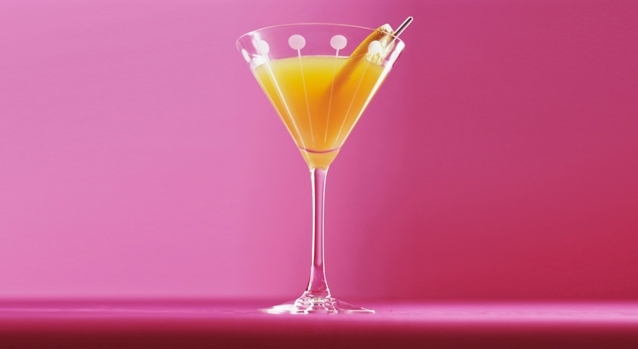 "), we raise a glass to the classics, spotlighting one drink a day. What's in It: Gin. A whisper of vermouth (the less vermouth, the drier the drink). 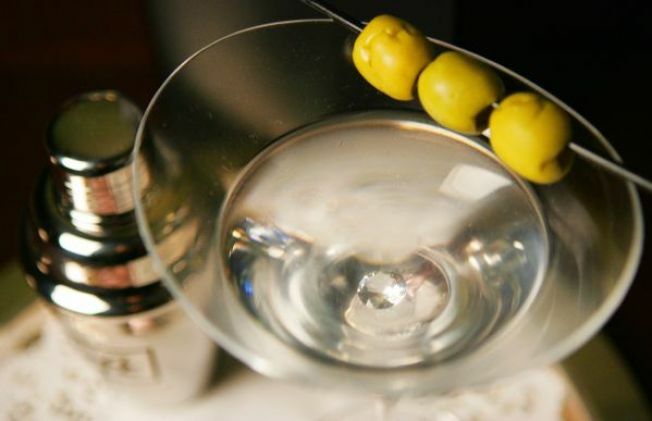 Oprional: a couple of olives or onions (the latter turns it into a Gibson martini). Order a vodka martini if that's what you want, but don't order a gin martini -- the martini is, by definition, made with gin. Note that serving a drink in a martini glass or appending "tini" to any noun (appletini, crantini) does not a martini make. The Lore: Legend has it a gold panner hit paydirt and stopped into a bar in Martinez, Calif. to celebrate. In lieu of Champagne, the barkeep served him a Martinez Special. Where to Drink It in NYC: At the Hotel Carlyle, the Bemelmans is widely considered the place in New York City to order the martini-drinker's martini. That mini-carafe on ice? That's so you can linger over your libation without it getting warm. The Oak Room at the Algonquin, with its literary-salon ancestry, is a nice choice -- if martinis here are good enough for Dorothy Parker, they're good enough for us. At first, Angel's Share (East Village) may seem like it's just a place for Japanese NYU freshmen in white jeans to eat yakitori and take cell-phone pictures of each other, but behind that one door in the dining room sits a bar where the bartenders take their job -- and martinis -- very seriously indeed.